Click the blue "Install Bigcommerce App!" 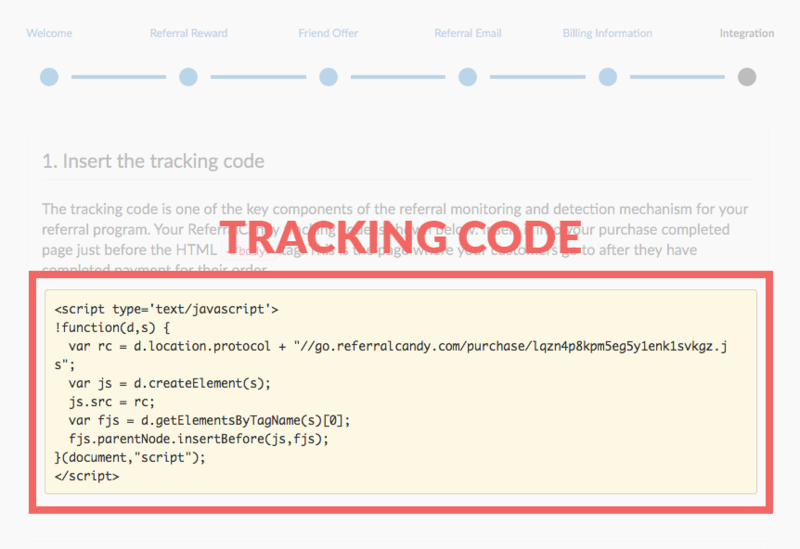 button to authorize the ReferralCandy app to access to your Bigcommerce store. Complete the rest of the setup wizard. At the integration step, note the tracking code. You will need it to complete the integration in the next part. Log into your Bigcommerce Control Panel. In the left sidebar menu, click "Advanced Settings". 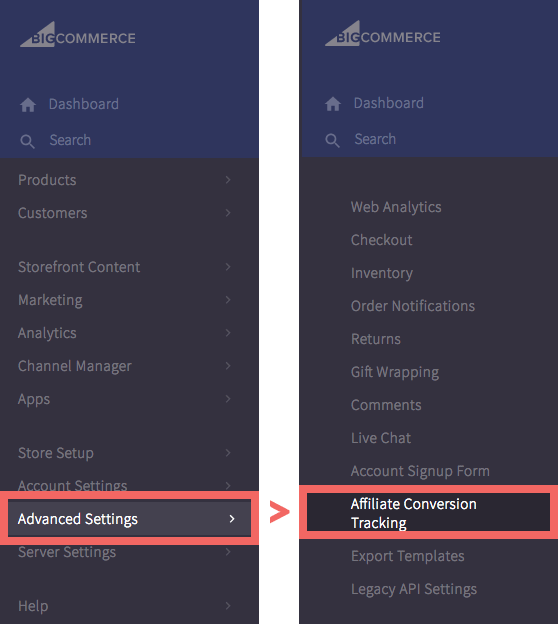 Click "Affiliate Conversion Tracking" in the navigation menu that appears. 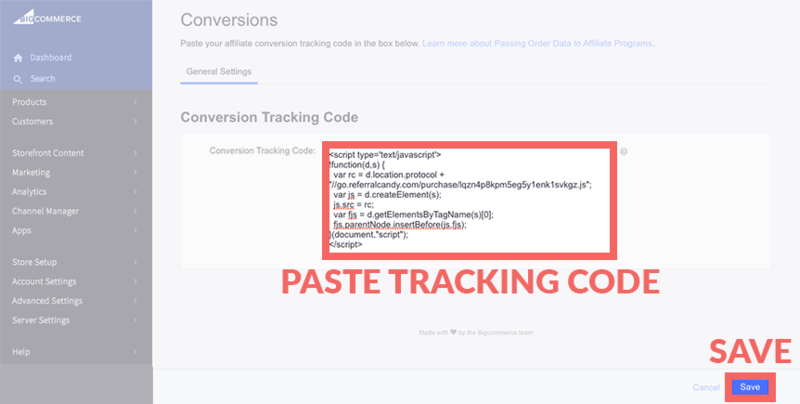 In the Conversion Tracking Code panel, copy and paste the ReferralCandy tracking code from Step 3 into the input box. Click the "Save" button on the bottom right of the page to save the changes. 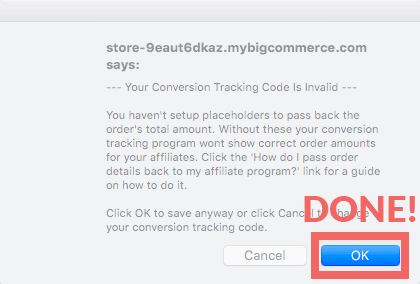 A pop-up alert window will appear that says 'Your Conversion Tracking Code Is Invalid'. You can ignore this warning. Click the 'OK' button to save the changes, and you're done!